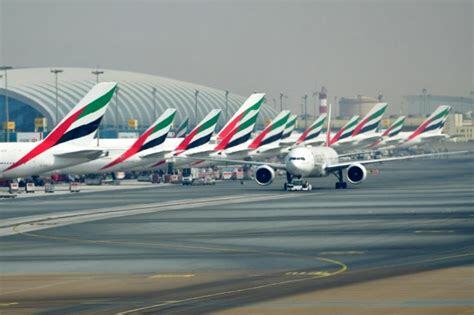 Dubai-based Emirates Airlines announced Thursday it reached a deal with Airbus for the acquisition of 36 A380s, few days after the firm said it was considering terminating the production line of the double-decker aircraft if the Emirati carrier does not place an order. The deal is estimated at $16 billion for 20 firm orders and 16 optional. Delivery will start from 2020 onwards. With this new deal, Emirates is by far the largest Airbus customer partner with a commitment for 178 A380s for a total disbursement of $60 billion. The airline currently operates 101 A380s and 41 others yet to be delivered as part of previous orders. 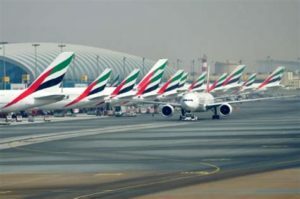 “Our customers love it, and we’ve been able to deploy it on different missions across our network, giving us flexibility in terms of range and passenger mix,” Emirates chairman and CEO Sheikh Ahmed bin Saeed Al-Maktoum said. The program of the wide-body jet capable of accommodating 853 passengers has been on the line due to no order over the past two years. The firm failed to clinch new contracts for the double-decker aircraft in November at Dubai aviation show. Emirates was expected to ink a deal for the acquisition of the superjumbos but instead it signed up for Airbus’s challenger Boeing, placing an order worth $15 billion for 40 Boeing Dreamliners. Monday, John Leahy, Sales Chief of Airbus warned that the program could only survive if Emirates places an order that enable the production line to keep going. Leahy who signed the deal Thursday with the Emirates CEO was delighted noting that with what has been dubbed “a relief for Airbus” the production will continue for another decade. The company has so far delivered 222 A380s to 13 different airlines. Written by: KanelkaTagba on January 19, 2018. Posted by KanelkaTagba on Jan 19 2018. Filed under Gulf News, Headlines. You can follow any responses to this entry through the RSS 2.0. Both comments and pings are currently closed.